With this heat, it gets dry quick. I found a few plants with evidence of spider mites yesterday. This of course is not good since it is early. 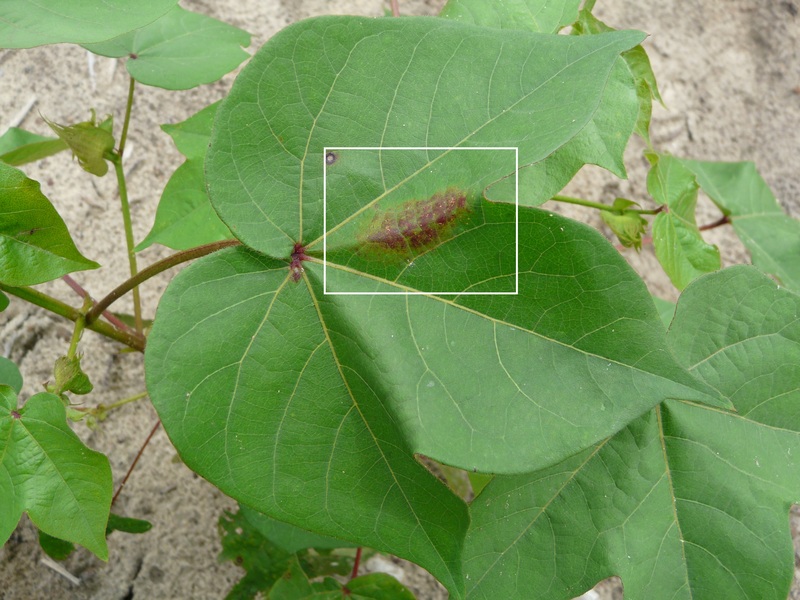 When we are scouting fields, look for spider mites. Look for the reddening on the “V” part of the leaf. UGA Extension Entomologist Dr. Phillip Roberts says early detection is critical. **The best management practice is to NOT flare spidermites with unnecessary insect sprays. If our retention is good (plant bugs), stink bug threshold is low, and aphids have crashed, we need to hold back. It’s about to get hotter, and dry weather makes them worse too.